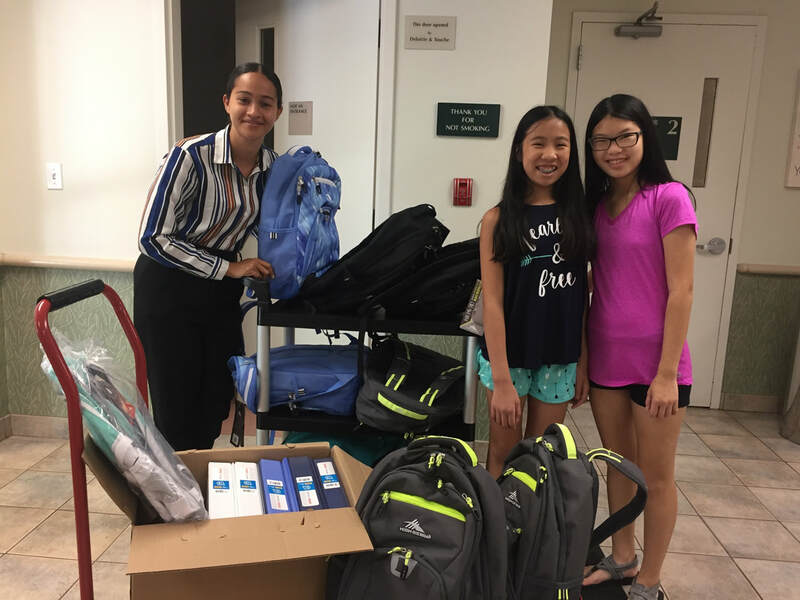 Once again in the spirit of back-to-school giving, Westwood United Methodist Church recently donated $500 worth of backpacks and school supplies to Children's Aid and Family Services of Bergen County (CAFS). Ten fully-loaded backpacks were given to children currently living in CAFS’ therapeutic group foster homes. The Moy family represented the WUMC Missions Team and shopped for the donated backpacks and supplies, meticulously researching the best back-to-school sales at Staples, Amazon, and Costco. Our donations were funded by sales proceeds from our beloved FaithWorks Thrift shop. As a reminder, the church donates all proceeds – about $10,000 per year – from its FaithWorks Thriftshop, to primarily local non-profit organizations. The Thriftshop is open Monday evenings from 6:30 to 8:30 pm and the first and third Saturdays of the month from 9:00 am to 1:00 pm (excluding holidays). Donations of new and "like-new" clothing and other items can be made during store hours. Most items are $0.25 to $3.00. Come check it out, as you never know what treasure you’ll find!